Vermont has more artisan cheese makers per capita than any other state, and they're churning out cheddar, chèvre and Camembert like nobody's business. "We're head and shoulders above everybody else," says Jeff Roberts  the Montpelier man New York Times food critic Marion Burros recently described as a "walking encyclopedia of American cheeses." Roberts' Atlas of American Artisan Cheese, published this month by Chelsea Green, reveals the hand-crafted dairy trend is not confined to Vermont. The book represents the first effort by a foodie to chronicle every hand-made cheese source in the country. "He may have set out to provide restaurateurs, shops and cheese lovers with an indispensable reference," Burros writes of Roberts, "but in the process he created an exciting new kind of travel guide." Not for the low-fat set. The book lists 345 different producers in 45 states  Roberts didn't locate any artisan cheese in Wyoming, Arkansas, Florida or the Dakotas. 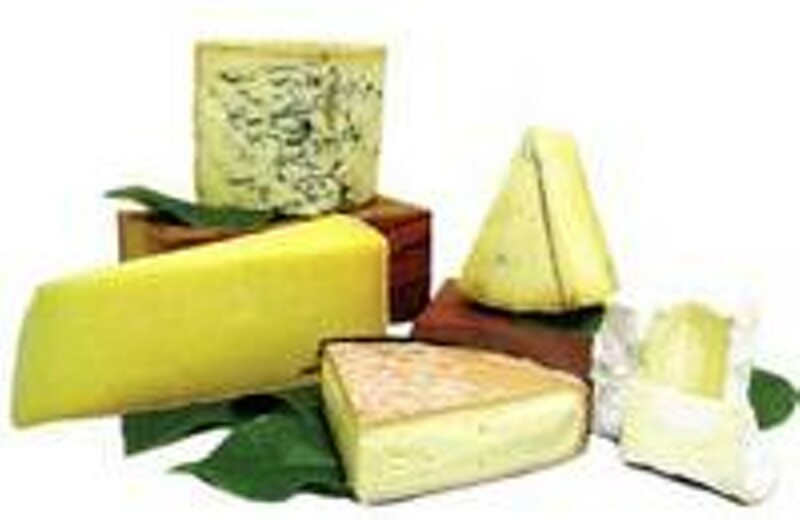 According to the book, California has the greatest number of artisan cheese makers, followed by New York and Vermont. How does Roberts define "artisan"? For him, the size of the operation matters less than the methodology. If a given cheese is made primarily by hand, even at a dairy that uses mechanized tools for other cheeses, it counts. That's how Cabot's traditional and cloth-bound cheddars managed to make the grade. "I have no issue with using mechanical stirrers," Roberts explains in an interview at Gesine Confectionary in Montpelier. "There are some people who have a problem with that." He adds, thoughtfully, "Cheesemaking is backbreaking work." Visiting hundreds of cheesemakers in less than a year would have been quite an endurance test, too. But Roberts didn't rack up frequent flyer miles for the book: The voyage he took in researching the 436-page, soft-cover volume was mostly virtual. Visiting all of the farms would have taken years, he points out, chuckling. Instead, Roberts relied on the Internet, which he likens to "a garbage can . . . People just keep putting things into it." How did Roberts ensure the info would be accurate? He sent a questionnaire to each cheese producer via email or snail mail. When he needed extra detail for an evocative description of a herd of sheep or a dank cheese cave, he made a phone call. The resulting listings, which don't attempt to be critical or evaluative, are organized by region, moving from east to west, then alphabetically by state and producer. If you don't know the "Central Plains" from the "Mountain West," flipping through the guide can be a bit laborious. The geographically challenged may need to make frequent visits to the table of contents. In every other way, though, the book is user-friendly, with symbols indicating the types of animals milked at a given dairy  mostly cows, goats and sheep, with the occasional water buffalo  and distinctions such as whether cheeses are organic or made from raw milk. Pertinent details about each producer are highlighted for easy reading. The alpha index by cheese maker will come in handy at the grocery store. Because of Roberts' reliance on "self-reporting," readers will find variable amounts of information in the listings. For example, Dancing Lamb Farm and Sheep Dairy in Earlton, New York, gets a mere 66 words and no photograph. All the essential info is there, however, concerning the farm's Icelandic sheep's milk cheese. The makers claim it tastes of "warm meadows, clover and wild thyme." By contrast, the write-up on Janine and John Putnam, of Thistle Hill Farm in North Pomfret, boasts five photographs and a narrative about how the Putnams made the transition from cases and writs  they were both trained as attorneys  to curds and whey. They make a winning case for their nutty Tarentaise, which has garnered awards in several international cheese competitions. Like the Putnams, Roberts didn't choose cheese as his first career. After a stint as a Navy meteorologist, he worked at the University of Pennsylvania's Morris Arboretum and the vet school, then came north in the mid-1990s to take a job with the Vermont Land Trust. Slowly, his life got cheesier. In 2000, Roberts joined the American Cheese Society and helped Shelburne Farms organize a program called "Pasture to Palate: The Art of Cheese Making." So many enthusiasts signed up for the course that they had to add an additional section. More dairy-related duties followed. 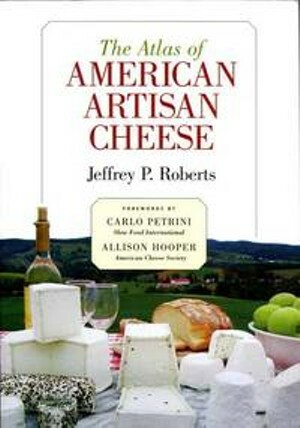 In 2001, Roberts helped assemble Europe's largest-ever tasting of American cheeses at a Slow Food gathering in Italy. In the aftermath of September 11, which occurred just 10 days prior to the event, Roberts and Co. decided to charge a small amount for samples and donate the money to a relief fund. "The word had gone out to all the Italian papers," relates Roberts. "It was the most emotional public thing I've ever seen . . . People were 10 to 12 deep; they were throwing money at us." In 2003, Roberts co-founded UVM's Vermont Institute for Artisan Cheese, using the world-renowned wine school at UC Davis as a model. The VIAC aims to provide resources to aspiring and established cheese producers. 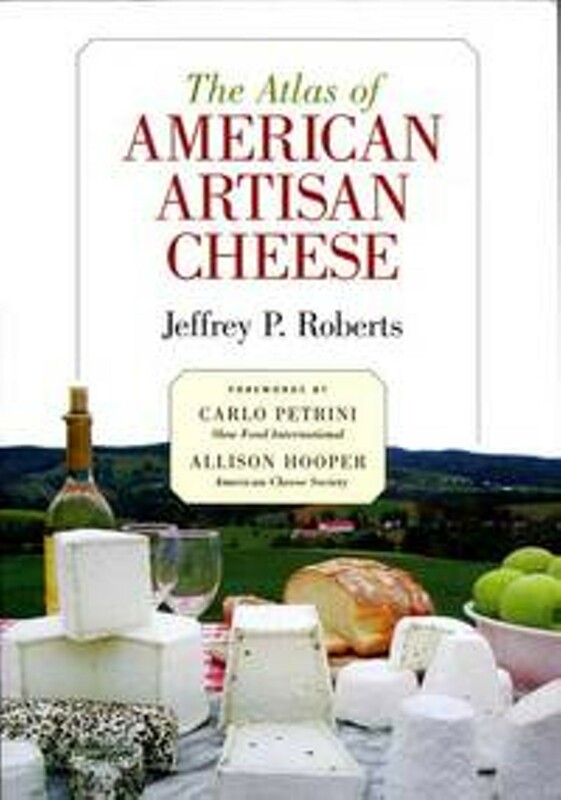 In the acknowledgment segment of the Atlas, Roberts describes it as "the first comprehensive center devoted to education, research and service for artisan cheese makers." With all these qualifications, Roberts was cut out for creating a cheese atlas. But his most important asset may be his steadfast love of the product. "I eat cheese every day. My refrigerator probably has a minimum of one to two dozen cheeses at a time," he offers. Luckily, his wife's a cheese fan, too. Roberts excels at gathering information useful to consumers, such as the varieties of cheese offered at each creamery and where to buy them. But, just as important, he knows how to spin a yarn. "My inspiration was first that I wanted to tell stories," he explains. "It's because I like to eat, and I'm selfish about where the food comes from, and I'm going to support the people who enrich my life . . . They're great producers, and this is how I feel I can give something back to them." Roberts' affection for agricultural innovators and their hardscrabble way of life comes through in his portrait of Nancy Coonridge of Pie Town, New Mexico, and her flock of wandering Alpine, Nubian and LaMancha goats. In just three paragraphs, Roberts paints a picture of Coonridge's solar-powered dairy and describes the wild plants, such as mountain mahogany and wild buckwheat, on which her flock feeds. He writes, "The resulting milk is a cornucopia of unique flavors, resinous one day, flowery the next, a palate of complex aromas and tastes . . ."
Those follow-up phone calls sure came in handy. But not everyone responded, even though the atlas offered free publicity. Roberts had problems reaching the horse-and-buggy crowd, who maintain the long-standing American tradition of making tasty and simple cheeses, such as Jack and Colby, by hand. "The Amish are, in my opinion, the single most important group of cheesemakers in this country who are still working with traditional methods," Roberts asserts. Unfortunately, since they eschew technology, they're also the most difficult to contact. In Pennsylvania, where many of the Amish farms are located, Roberts listed 10 "additional" cheese makers with whom he couldn't establish communication. He believes that, if they were all counted, Pennsylvania would beat out California. Other underrepresented artisan cheese makers include ethnic store owners in some of America's larger cities. "There are Italian delis in New York and San Francisco that are making mozzarella by hand . . . There's a handful of them in the book," Roberts says. In Boston, he learned of Portuguese families crafting traditional European cheeses on a small scale. "It's not just about the extraordinary cheeses . . . it's about people who are making products and reflecting valuable traditions in the United States. That really changed my thinking," he explains. Overall, researching and writing the book left Roberts with a good taste in his mouth  and the realization that artisan cheese production is not just about fancy, cave-aged cheeses that sell for upward of $30 per pound. "I've never had any trouble finding good food wherever I went, so I've always been an optimist about finding good food anywhere . . . The book reinforces that powerfully," he claims. Those boutique prices come in handy for some cheesemakers, though. That's particularly true if you own a cash-strapped dairy in, say, Vermont, where herds are small, and "we can't compete as a commodity milk producer," Roberts says. He believes value-added dairy products, such as artisan cheese and gourmet ice cream, can mean the difference between farming success and failure: "The future of agriculture is, in part, thinking about how you break the mold." Roberts also notes that "American farmers and consumers are beginning to realize the benefits of thoughtfully produced, ecologically sustainable foods, and Vermont is helping lead the movement." A symptom of this shift in thinking is the massive growth of small cheese producers in the state. Almost half  16 of the 34 Roberts identified  have sprung up since 2000. Twenty-nine of those are working either exclusively or partially with raw-milk cheese. In a country where many consumers still wholeheartedly embrace simple-tasting processed cheese foods such as Velveeta and Cheez Whiz, that's a big deal. "Vermont has a message that has value in other parts of the world, around sustainability and stewardship of people, land and community," Roberts exclaims. "I'm biased, but I think Vermont cheesemakers have been among the most progressive, the most innovative, and have provided great leadership." The lengthy Vermont section of the Atlas serves up stories of these leaders: craftspeople like sassy Laini Fondiller from Lazy Lady Farm, who names her cheeses after politicians; and the enterprising Kehler brothers of Jasper Hill Farms, who recently partnered with Cabot to create Vermont Clothbound Cheddar, named the best cheese in North America by the American Cheese Society in 2006. Vermonters don't need an "atlas" to locate many of these dairy delicacies; they're at the local co-op. But Roberts may surprise even the savviest cheese connoisseurs with a few hidden gems  such as West Pawlet's Consider Bardwell Farm and Peaked Mountain Farm in Townshend. Grab your atlas and road map  and start making the cheese rounds.